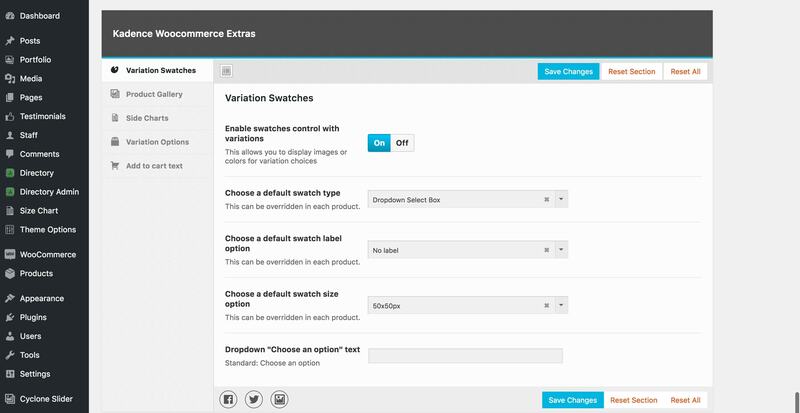 Kadence Woo Extras gives you powerful options to help drive your web-store’s sales. 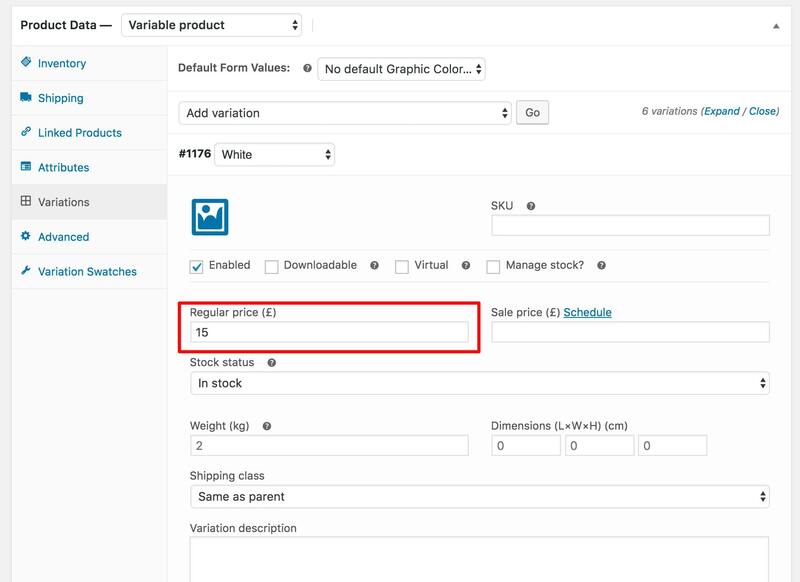 One great feature of Woo Extras is the added ability to personalize the way your product variations are displayed. Through customizable drop downs and radio buttons, you’ll be given an array of options that will help you better connect your customer to the product. First install the Kadence Woo Extras plugin and go into the “Woo Extras” menu in the bottom left corner of your screen. 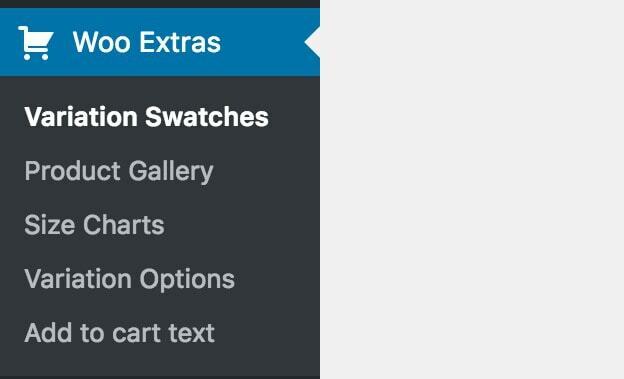 There you can click on “Variation Swatches” and enable them for your site. 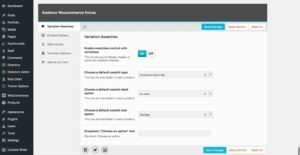 Once enabled, configure the default settings for your site. 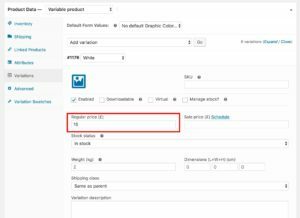 After you’ve configured your variations, you can save the product, and the variation will use your default settings. 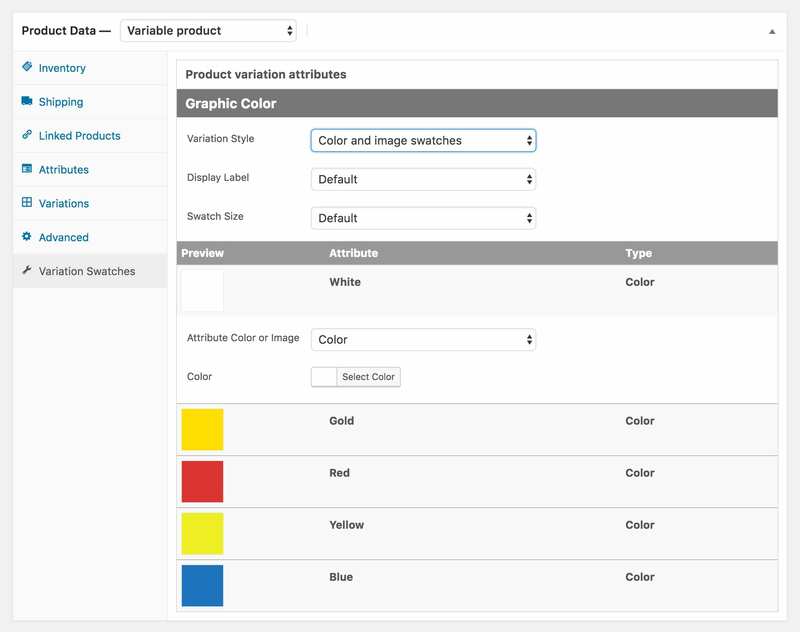 There are, however, options to setup the swatches to display differently for individual products. 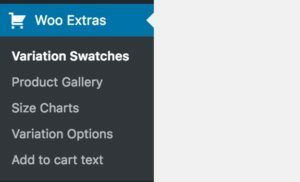 By clicking on the “Variation Swatches” tab under “Product Data,” you will open up the swatch options for each single-product. Displayed below are the styling options available for your product variations.